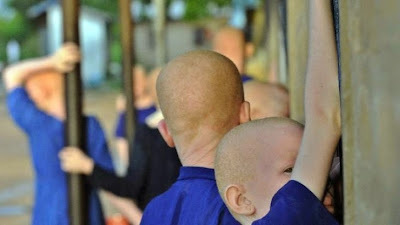 Four men have been arrested by police in Malawi for allegedly kidnapping and murdering an albino man, Symon Mukota in December. Police say the suspects kidnapped Symon Mukota from his village, killed and removed his bones to be sold for witchcraft. His remains were however buried in a riverbed. According to police spokesperson, Patricia Sipiliyano the four men were arrested on murder charges following a tip-off after they failed to find a market for the bones.